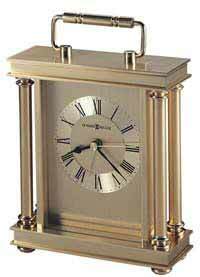 The Howard Miller Carlton is a large table or desk clock which has four solid brass reeded columns on the sides. This handsome clock features a brushed brass finished dial and a circular spun numeral ring with diamond cut edges and black Roman numerals. Ribbed brass sides and a full felt bottom protects your desktop. 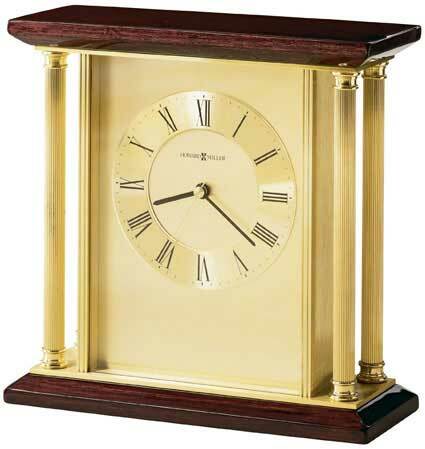 The top and the base of this clock is finished in a High-Polished Rosewood Hall on select hardwoods. In low light if top and bottom appear an almost black and more of a maroon finish in sunlight. 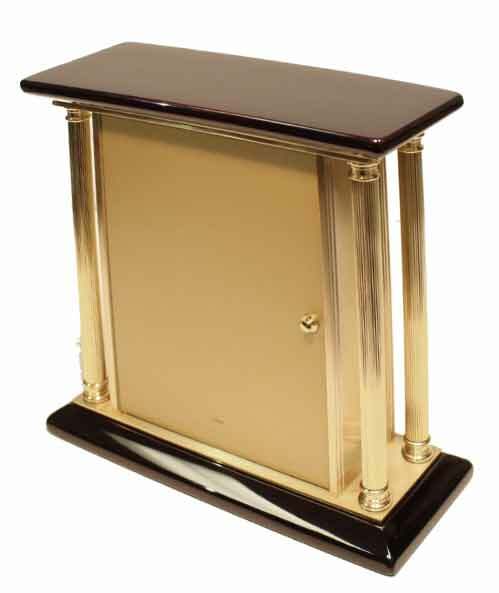 A matching brass rear access panel looks great from the back and allows easy access to the battery cavity which is hidden inside. 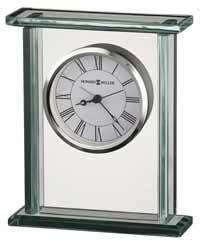 Quartz movement includes one "AA" battery. 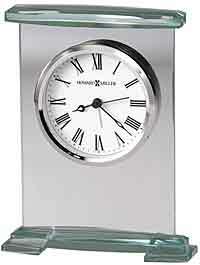 Size: H. 8-3/4" W. 9" D. 3-3/4"
Clocks for sale at The Clock Depot including the 645-391 at discount prices.